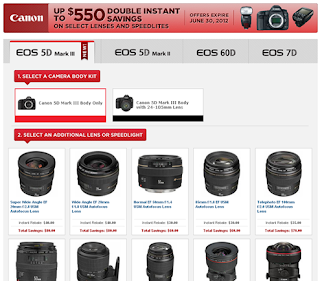 Canon USA has again extended the current rebate programs. It is now scheduled to expire on July 28, 2012. The rebate programs include the EF lens and Speedlites and the savings amount will double when the purchase is bundled with a qualifying DSLR camera. 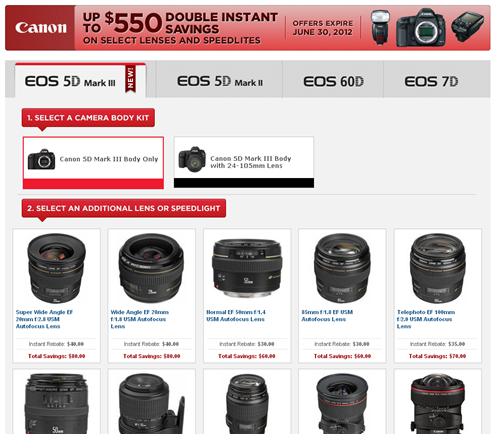 The other rebate program involves discounts when certain DSLR cameras are purchased with popular lenses, like the EF-S 18-55mm, 18-135mm and the 28-135mm lenses, etc.